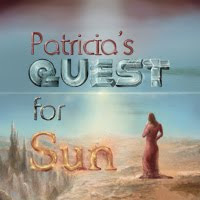 TE back with another interesting puzzle game “Patricias Quest for Sun". Description: Patricia is one of the trusted maintainers of Homeworld given the responsibility of finding Sun. Saucer and Patricia sets out exploring a foreign planet in the hope of finding Sun. With the help of the Sensemaker and Patricia’s purse of endless things the journey begins.